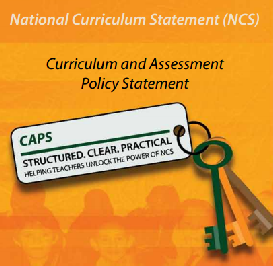 CAPS, the Curriculum and Assessment Policy Statement, is a revision of the previous NCS (National Curriculum Statement). CAPS gives teachers detailed guidelines of what to teach and assessed on a grade –by- grade and subject-by- subject basis. The Main aim of CAPS is to lessen the administrative burden on teachers and ensure consistency and guidance for teachers when teaching. The teaching and learning of the subjects have specific aims, skills, focus of content areas and weighting of content areas. What were called Learning Outcomes and Assessment Standards in the NCS are now called Content and Skills in CAPS. In CAPS Numeracy is now called Mathematics and Literacy is called Language. A learning area is now referred to as a subject. CAPS provides detailed week –by- week planning for teachers to follow. It gives clear guidance in terms of pacing and progression. It also gives clear guidance of assessment requirements. If you are not sure what to buy, simply make use of the "Free-Advise-Me-On-My-Day-To-Day-Teaching-Problems-Voucher"
and we will gladly assist. Are you a Grade 1 Maths teacher? Then simply click here to download some free practical tips.